He declared that for the Party to get it right and regained its lost glory, it would need a competent, reliable and courageous National Chairman ‎who would then lead the Party to victory come 2019. According to Jonathan, “the contest for the office of the National Chairman is very interesting, this is healthy competition, many of the aspirants have been coming here, this will allow the delegates to choose the best among then at the Convention. “However, for the Party to make a headway, we need a National Chairman that will select credible and reliable candidates for various elective offices at the various level of governments from the Presidency to the Councilorship. “We need a National Chairman who will be courageous enough to call the President to order if he wins the Presidency and the President is going astray, he must not be someone when the Party takes a position on ‎issues, he will change. 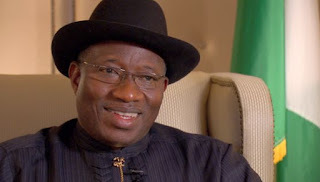 Jonathan disclosed that with his long interaction with Professor Adeniran and testimonies of other Party leaders, he possessed all it needed to lead the Party at this critical point of time and wished success in the race. He, however, advised the Party members and the aspirants not to allow the Convention to cause another crisis in the Party, saying that the contest should be seen as a family affair. In his remarks, Professor Adeniran Stated that initially he was not interested in the race but the need to rebuild and reposition of the Party ahead of the 2019 General elections prompted him to join the race. Prof Adeniran Said that he would in the race to make that to regain it’s lost glory and give Nigerians the real dividends of democracy that have eluded then since the PDP lost power in 2015. Speaking earlier, a member of the BOT of the Party, Prof Jerry Gana and the Director General of Tunde Adeniran Campaign Organisation, Alhaji Shehu Musa Gaban extolled the virtues ‎of Adeniran whom they described as the best man for the job based on his records of service both in the Party and public service.